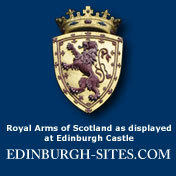 The Grassmarket is located centrally just south of Edinburgh Castle. The valley was carved by glaciers during the ice-age and the area was originally designed to accommodate the horse and cattle markets held here weekly from 1477-1911. Cattle would be driven from the surrounding fields through THE COWGATE in the east and WEST PORT gate to the West. The area was also used to conduct public hangings, notably those of the Covenanters in the late 17th Century but also Captain John Porteous and Maggie Dickson who miraculously survived the noose. 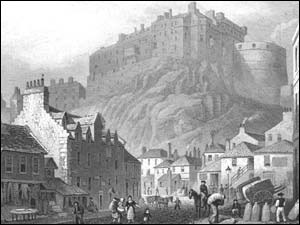 Frequented in the past by historic figures such as Robert Burns and Wordsworth, today the Grassmarket serves as a convenient meeting point for locals and visitors alike who enjoy fashionable shops, bars and restaurants whilst soaking up the atmosphere with splendid views of the nearby castle.